Photoshop for Mac enjoyed a monopoly over the photo editing market and was considered the best and the only photo editing software. It had ruled the industry for years. Although Photoshop governed the photo editing industry for almost 2 decades but now the Creative Cloud subscription charges cost about $50 and only Adobe enthusiasts use it for commercial purposes. But what about the average users? Because a subscription still happens to be subscription and nobody would want to pay for a photo editing software. This has been true in the light of the recent controversy related to Adobe’s subscription based Creative Cloud service which charges exorbitant monthly/yearly to its users. After Adobe made Photoshop CC the most important aspect of its Creative Cloud and put up hefty subscription charges on it, photography professionals and photo enthusiasts who find the Photoshop too expensive and intimidating, desperately sought for an alternate. Recently more and more photo enthusiasts are looking for Photoshop Alternatives for Mac more than ever. If you are one of them, here are three amazing alternatives for Photoshop for Mac that users can download and use if they need a highend photo editing software for Mac at affordable price. This is one of the most favorite amongst all Mac photo editing applications. With recent updates that allow editing features like image alignment, image stacking and also panorama stitching, they can make any picture a work of art. This particular app is at par with Photoshop, yet is quite affordable. 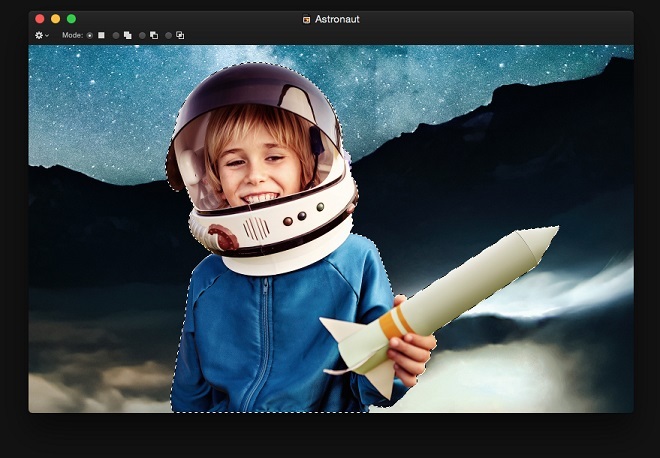 If you are a hobbyist looking for a high end image editing app this one is one of the best alternatives available to you at a very affordable cost. Affinity Photo features a lot of photo editing tools along with regular updates that can now fully support the Mac updated iOS as well. You can have smooth transition and editing of any type of image no matter how heavy it might be. You have white balance tools, enhanced shadow highlight options and also auto enhancement features as a start. This particular app is the hub photo editing activities. Using Pixelmator you can easily add special effects to pictures and images, correct the exposure, remove red eyes, remove all unwanted objects and also fix the images using a whole lot of sophisticated tools that aren’t available on any other photo editing app. If you use Pixelmator for Mac you can edit all your pictures in one place just like you want to. There are a lot of properties and tools which allows you to edit your photo collection with a whole lot of options. 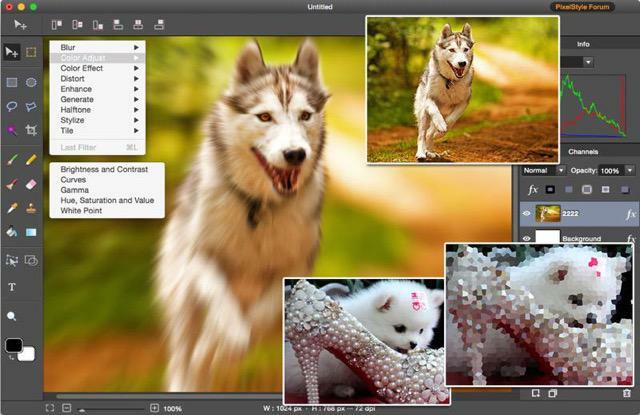 Using the Pixelmator you can edit your pictures just the way you like and get everything done in a jiffy. There is no comparison of this amazing app out in the store. 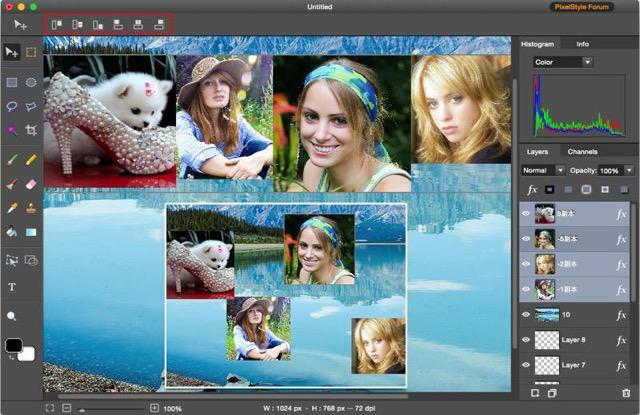 Download the Powerful Alternative of PhotoShop for Mac Now. 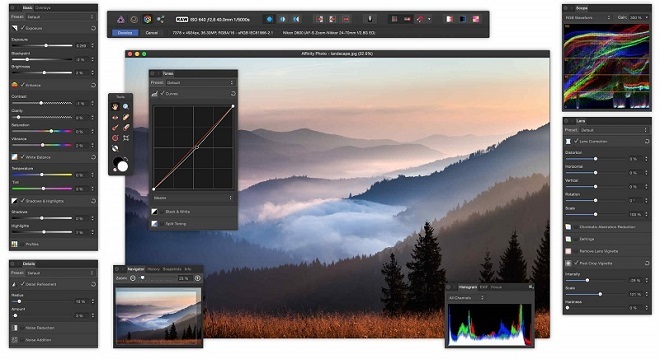 EffectMatrix, which has been the pioneers in developing the budget priced, image editing and Windows-based desktop publishing programs, just recently developed an alternate to Adobe Photoshop and thus breaking its monopoly. This is a full-featured package with highend photo-editing tools. PixelStyle Photo Editor for Mac as a Mac App, is available from the Mac store as a onetime purchase at an inviting price of $39.99. 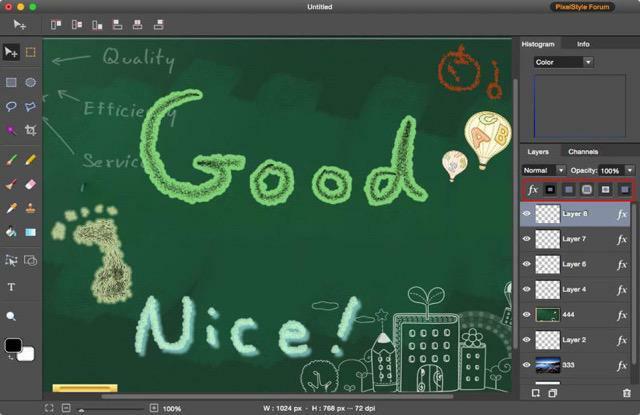 If compared with Adobe, it has plenty of new features, tools and some interesting touches that make it stand out from its competitors. There is neither monthly subscription fee nor any annoying in-app purchases. The app is compatible to run on a 64-bit Mac with versions of MAC OS that are 10.7.5 and up. 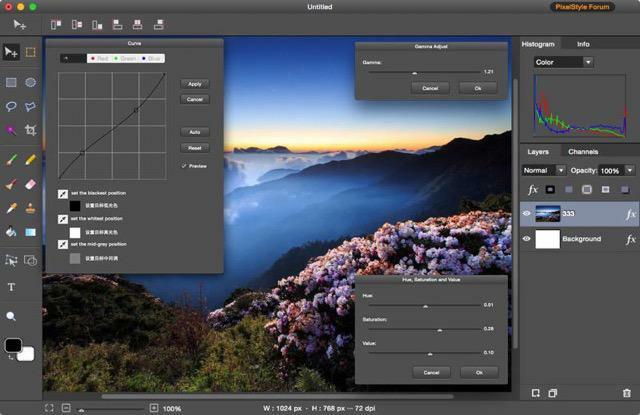 EffectMatrix described this software as “a professional photography tool to the very core” . Although it isn’t Photoshop, it has features that are highly useful. PixelStyle Photo Editor is an app apt for photo editing enthusiasts, amateurs and hobbyists who take a consumer oriented towards photo editing. This app has just what you need to edit your pictures and make them appear more clear and crisp to the eye. To process raw files, you have to go to Develop Module where you have the wealth of tools arranged in tabs for Lens, Basic, Details, Tones and Overlays. Although the main raw processing tools are many but there are more additional tools for a number of other tasks such as the removal blemishes and red eye. Photo Module is perhaps the module where the real power of the program lies. You have the option of non-destructive alteration where you can through layer adjustment control just about everything of picture, from brightness to white balance. This is the module where users are at liberty to modify image mesh with tools that are specifically designed with liquify edits in mind. Here you can pinch, push, twirl, freeze or thaw selected areas of the picture. Here the program needs accolades for its fluidity and speed through which edits are updated on screen. This area gives the user the full control of the output of their images. This app also has features for red eye removal, filter effects, smart tones, auto fixing, textures and content aware tools. These properties along with the affordability of PixelStyle Photo Editor give other Alternatives for Photoshop for Mac a run for its money. Thus, PixelStyle Photo Editor for Mac is a fabulous program that will give Photoshop a tough competition and it is no doubt the best professional image editing software in the market. Free Download PixelStyle Photo Editor - Excellent PhotoShop for Mac Alternative NOW! It is available for OS X 10.7 and above, iMac, Macbook Mini, Macbook air, Lion, Macbook Pro, Yosemite, mavericks, EI Capitan 10.11. All in all, these are 3 Photoshop related software if you are interested, try them all and pick the best one for yourself.